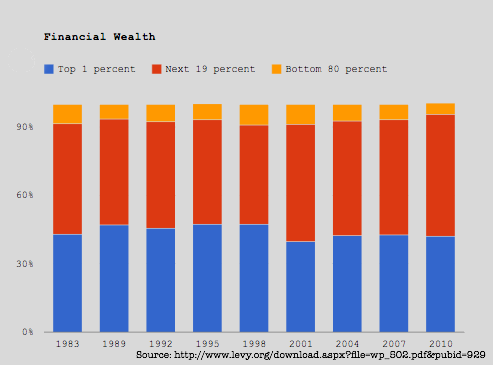 Plenty of talk has gone into the rising income inequality that America has experienced since the early 1970s. But income is merely a wealth flow, and the truer measure of equality is the distribution of net worth and financial wealth (the wealth stock). This widening gap between the rich and everyone else is not a case of people being rewarded for their talents. 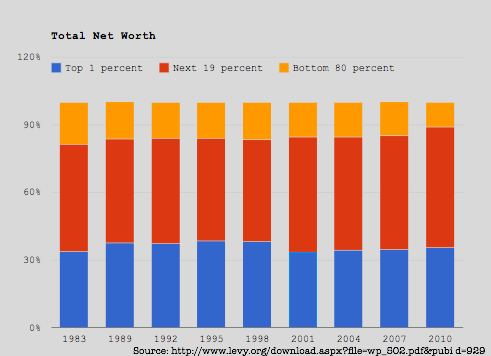 Some income and wealth disparity is an inevitable effect of the market process. But the reality of today is more of a case of oligarchs harnessing the power of government bailouts, monetary policy, corporate subsidies, pork, quantitative easing, barriers to entry, favourable regulation, SuperPACs, Citizens United, lobbyists, market-rigging (etc, etc, etc) to get whatever they want. China has an interest in trade. China wants to, as they have 20 million people coming out of the farms and coming into the cities every year, they want to be able to put them to work. They want to have access to global markets. And so we have right now something they need very badly, which is access to our market and our friends around the world, have that same– power over China. To make sure that we let them understand that in order for them to continue to have free and open access to the thing they want so badly, our markets, they have to play by the rules. The theory goes that by buying U.S. currency (so far they have accumulated around $3 trillion) and treasuries (around $1 trillion) on the open market, China keeps demand for the US dollar high. 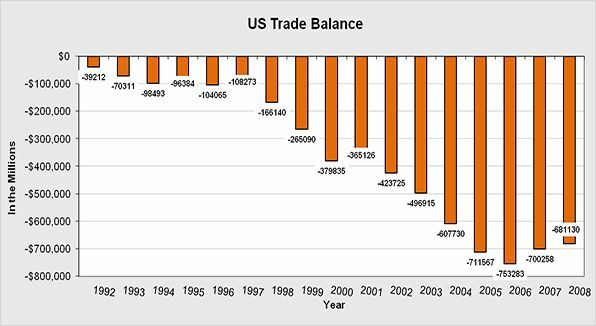 They can afford to buy and hold so much US currency due to their huge trade surplus with America, and they buy US currency roughly equal to this surplus. To keep this pile of dollars from increasing the Chinese money supply, China sterilises the dollar purchases by selling a proportionate amount of bonds to Chinese investors. Supposedly by boosting the dollar, yuan-denominated Chinese goods look cheap to the American (and global) consumer. First, I don’t really think we can conclusively say that the yuan is necessarily undervalued. That is like assuming that there is some natural rate of exchange beyond prices in the real world. For every dollar that China takes out of the open market, America could print one more — something which, lest we forget — Bernanke has been very busily doing; the American monetary base has tripled since 2008. Actions have consequences; if China’s currency peg was so unsustainable, the status quo would have collapsed long ago. Until it does, we cannot conclusively say to what extent the yuan is undervalued. 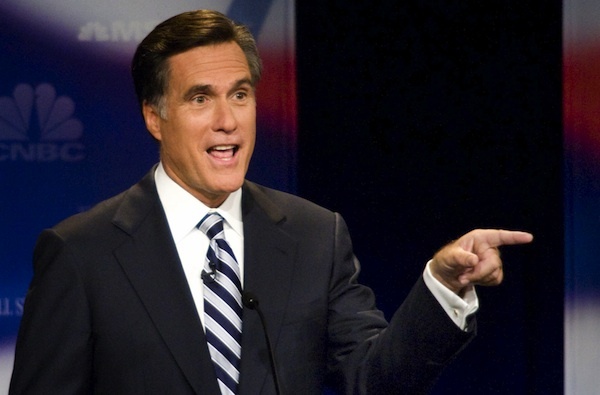 What Romney is forgetting is that every nation with a fiat currency is to some degree or other a currency manipulator. That’s what fiat is all about: the ability of the state to manipulate markets through monetary policy. When Ben Bernanke engages in quantitative easing, or twisting, or any kind of monetary policy or open market operation, the Federal Reserve is engaging in currency manipulation. Every new dollar that is printed devalues every dollar out in the wild, and just as importantly all dollar-denominated debt. So just as Romney can look China in the face and accuse them of being a currency manipulator for trying to peg the yuan to the dollar, China can look at past U.S. administrations and level exactly the same claim — currency manipulation in the national interest. While China’s currency policy in the past 40 years has been to attract manufacturing, technology, resources and investment into China (and build up a manufacturing base to provide employment to its low-skilled population) by keeping its produce cheap, America’s currency policy has sought to enjoy a free lunch made up of everyone else’s labour and resources. This has been allowed to develop because of America’s reserve currency status — everyone has needed dollars to access global markets, and so America has rested on her laurels and allowed her productive industries to decline. Why manufacture the bulk of your consumption when China can do it cheaper, and Wal Mart has no problem with slave labour? Why manufacture your military hardware when China can do it cheaper? Why produce your own energy when you can instead consume Arab and Latin American oil? The U.S. has almost used all deterring means, besides military means, against China. China must be clear on discovering what the U.S. goals are behind its tough stances against China. In fact, a fierce competition between the currencies of big countries has just started. 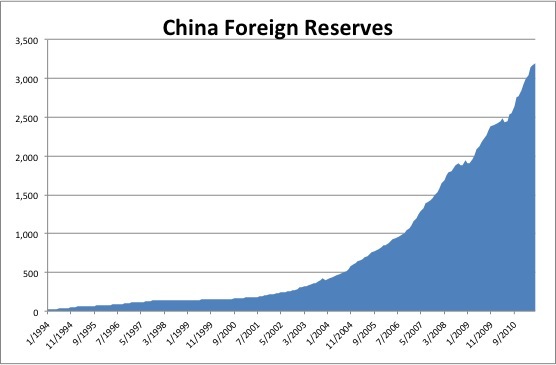 A crucial move for the U.S. is to shift its crisis to other countries – by coercing China to buy U.S. treasury bonds with foreign exchange reserves and doing everything possible to prevent China’s foreign reserve from buying gold. If we use all of our foreign exchange reserves to buy U.S. Treasury bonds, then when someday the U.S. Federal Reserve suddenly announces that the original ten old U.S. dollars are now worth only one new U.S. dollar, and the new U.S. dollar is pegged to the gold – we will be dumbfounded. Romney and others of his ilk might brush this off, believing that China’s $3 trillion dollar reserve hoard was gained through unfair means — slave labour, cutting corners in quality, the aforementioned “currency manipulation”, etc, and that that somehow gives America the right to inflate away its debts and screw its creditors. To some degree, they have a point. If China had a problem with America inflating away its debts, it should never have put itself so deep into dollar-denominated paper. If China recognised that America’s debt position was unsustainable, it should never have put so much into something so unsustainable, irrespective of supposed American pressure. In the short term, though, I think escalating the trade war through the imposition of tariffs is a very bad idea. America is a consumption-led economy, and with middle class incomes already squeezed, a constriction of the supply of cheap and readily available goods is likely to put a lot of downward pressure on consumption. And it’s not just consumption — in today’s hyper-globalised world, a huge proportion of manufacturing — including military hardware — at some stage flows through China. Most of America’s key military technologies require rare earth elements, whose production China holds a near-monopoly over. It’s thus perhaps no surprise that China has made the threat of rare earth export restrictions a new political bargaining chip. American corporations could gradually pull out of China and shift to manufacturing and extracting resources elsewhere including America (which has large rare earth deposits), but it would be a challenging process. Rebuilding an industrial base is hard: skilled and experienced labour takes time to develop (American labour is rusty and increasingly unemployed and disabled), and supply chains and webs have all agglomerated in China. Building up domestic supply chains takes time, expertise and entrepreneurial zeal. And any destabilisation could spook global markets. So let’s make no mistake: in the short term America needs China far, far, far more than China needs America. The notion that China needs America as a consumer is totally false; anyone can consume given the dollars or gold, and China holds $3 trillion, and continues to increase its imports of gold. The big problem for countries like China and India is that they still subsidize the U.S. They buy our Treasury bonds and lend us all this money so we can keep consuming. That’s a big subsidy and a heavy burden. They can use their money to develop their own economy, produce better and more abundant products for their own citizens. It’s a farce to think that the only thing China can do with its output and savings is lend it to the U.S. government, especially when we can’t pay it back. Mitt Romney seems intent on destabilising this fragile relationship. American policy that incentivised globalisation and the service economy has very foolishly drawn America into this fragile position where its economy is increasingly fuelled not only by energy coming out of the politically and economically unstable middle east, but also by goods coming from a hostile and increasingly politically and economically unstable power. And make no mistake — although China has done well to successfully transform itself into the world’s pre-eminent industrial base and biggest creditor, it has a lot of bubbles waiting to burst (particularly housing), stemming from the misallocation of resources under its semi-planned regime. Which makes this entire scenario doubly dangerous. Any shock in China would surely be transmitted to America, simply because it is becoming increasingly pointless for China to continue subsidising American consumption (through buying treasuries) when they could instead spend the money raising the Chinese standard of living. That could mean a painful rate-spike. 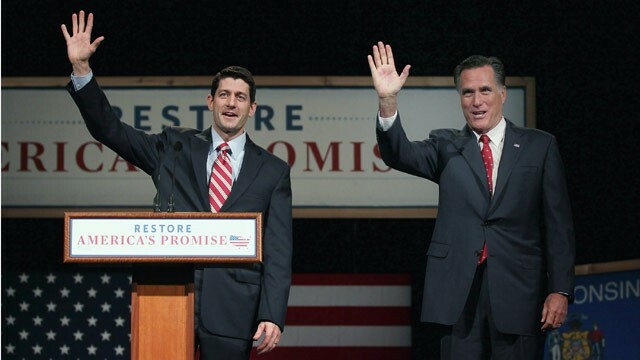 The real problem is that Romney is trying to address a problem that is very much in the past. If Romney was elected as President on this platform in 2000, things might be different. But China got what it wanted: by keeping its currency cheap and its labour force impoverished it became the world’s pre-eminent industrial base, the spider at the heart of the web of global trade, and a monopoly on important industrial components and resources. China used American demand, technology and investment during the 00s to develop. Now the imperative is not to grab a bigger share of global manufacturing, or a bigger hoard of dollars, it’s to leverage that position toward the ultimate aim of returning China to its multi-millennial superpower status. The promise of Chinese primacy is quite simply the strongest tool for the CPC to retain its (increasingly shaky) grip on China. However we should not discount the possibility that bursting economic bubbles may stoke up some kind of popular rebellion against the Communist authorities in some kind of Chinese Spring. A new more pro-Western regime is surely America’s best hope of containing China, while gradually manoeuvring itself out of dependency on Arab oil and Chinese goods. But that may just be wishful thinking; it is possible that a new Chinese regime may be vehemently anti-Western; the Opium War and China’s 20th century humiliation still ring deeply in the Chinese psyche. The Keynesian blogosphere is up in arms at Ben Bernanke’s response to Krugman’s view that he should pursue a higher inflation target as a debt erasure mechanism. We, the Federal Reserve, have spent 30 years building up credibility for low and stable inflation, which has proved extremely valuable in that we’ve been able to take strong accommodative actions in the last four, five years to support the economy without leading to an unanchoring of inflation expectations or a destabilization of inflation. To risk that asset for what I think would be quite tentative and perhaps doubtful gains on the real side would be, I think, an unwise thing to do. This is not at all the tone of Bernanke’s Japan analysis; remember, Japan had nowhere near as high unemployment as we do, and his analysis back then was not simply focused on ending deflation. The economy is performing far below its potential, due to an ongoing slump in aggregate demand caused by a contraction of confidence. 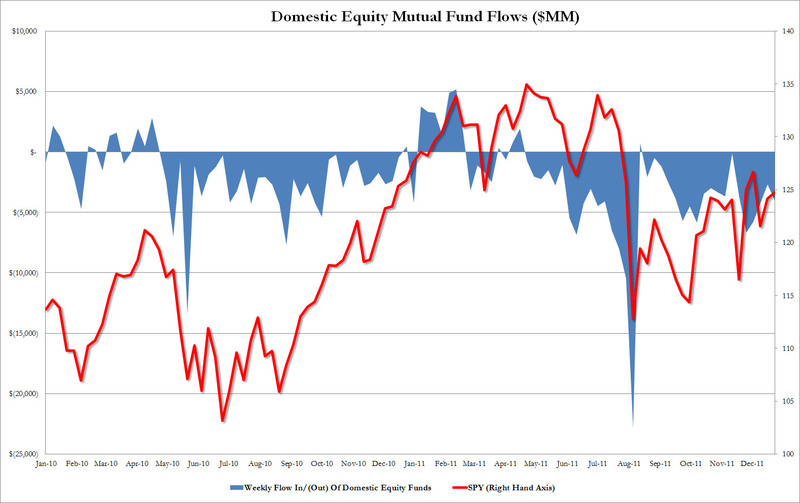 Simply, there is plenty of money, but far too many people are risk averse and thus are not spending (and thus creating economic activity) but instead just holding onto their money. The Fed should ease some more, so as to create inflation that turns holding cash into a risk, and so encourage investment and consumption. What’s more, residual debt overhang is a burden on the economy, and additional inflation would decrease the relative value of debts, giving some relief to debtors. I am deeply sceptical that GDP is a sufficient measure of output, and I am even more sceptical that the algorithmic jiggerypokery involved in calculating what the Federal Reserve calls “Potential Nominal GDP” has anything whatever to do with the economy’s real potential output. But I will accept that — based on the heightened unemployment, as well as industrial output being roughly where it was ten years ago — that potential output is far below where it could be, and that the total debt overhang at above 300% of GDP is excessive. In the period 2009-2011, America’s largest multinational companies: those who benefit the most from the public sector increasing its debt/GDP to the most since WWII, or just over 100% and rapidly rising, and thus those who should return the favor by hiring American workers, have instead hired three times as many foreigners as they have hired US workers. 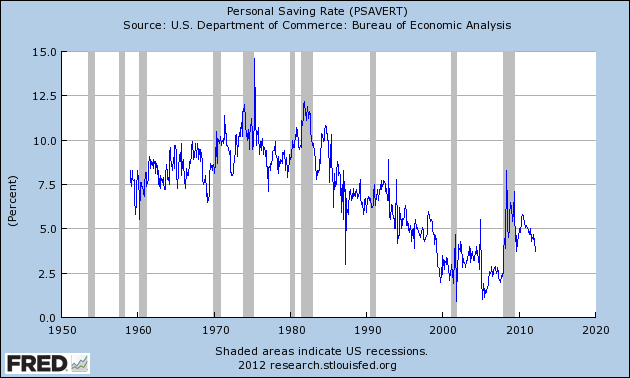 There’s no real correlation between government debt erasure and high inflation. The fundamental obstacle to governments eroding their debt through inflation is the duration of the government debt portfolio. If all outstanding debt had ten years before it matured, then governments could inflate their way out of the debt burden. Inflation would ravage bond holders, and governments (with no need to roll over existing debt for a decade) could create inflation with impunity, secure in the knowledge that existing bond holders could do nothing to punish them. In the real world, of course, governments roll over their debt on a very frequent basis. Consumer debt may also not experience significant erasure. The deeper reality though, is that even if my concerns are unfounded and Krugman is correct, and that a higher inflation target would achieve precisely what Krugman desires, I don’t think it would solve the broader problems in the economy. The problem is that most of the problems inherent in America and the West are non-monetary. For a start, America is dependent on oil, much of which is imported — oil necessary for agriculture, industry, transport, etc, and America is therefore highly vulnerable to oil shocks and oil price fluctuations. Second, America destroys huge chunks of its productive capital policing the world, and engaging in war and “liberal interventionism”. Third, America ships even more capital overseas, into the dollar hoards of Arab oil-mongers, and Chinese manufacturers who supply America with a heck of a lot. Fourth, as Krugman and DeLong would readily admit, American infrastructure, education, and basic research has been weakened by decades of under-investment (in my view, the capital lost to military adventurism, etc, has had a lot to do with this). In light of these real world problems, at best all that monetary policy can do is kick the can, in the hope of giving society and governments more time to address the underlying challenges of the 21st Century. When a central bank pumps, metrics (e.g. GDP and unemployment) can recover, but with the huge underlying challenges like the ones we face, a transitory money-printing-driven spike will in no way be enough to address the structural and systemic problems, which most likely will soon rear their ugly heads again, triggering yet more monetary and financial woe. On the other hand, it would be interesting to see Bernanke go the whole hog and adopt a fully-blown Krugmanite monetary policy, just to see Krugman’s ideas get blown out of the water by the cold, dark hand of falsification. Of course, there was an opportunity to achieve debt erasure in 2008, when the world faced a default cascade and a credit collapse. Had economists and planners let the system liquidate, a huge portion of bad debt and bad companies and systems would have been erased, and — after a period of pain — we might well be well into a new phase of organic self-sustaining growth. But we live in a different world; where zombie systems, companies and their assets are preserved by government bailouts and interference, and very serious people like Paul Krugman earnestly push dubious solutions to problems that their very interventionist worldview created. Sorry, no. I am being sarcastic. The U.K. economy shrank in the first quarter as construction output slumped, pushing Britain into its first double-dip recession since the 1970s and raising pressure on officials to salvage the recovery. Gross domestic product contracted 0.2 percent from the fourth quarter of 2011, when it shrank 0.3 percent, the Office for National Statistics said today in London. Last month I described Britain’s problems: GDP levels have never recovered to pre-crisis levels, the unemployment rate continues to climb from post-crisis levels, government debt level continue to climb, inflation levels are elevated, and all of these metrics are somehow worse than the situation in America. And now Britain is back in recession. The bottom line here is that trying to conduct an austerity program during the depths of a recession is dangerous. Less government spending and higher taxation translates into falling incomes for many, which often translates into falling tax revenues (as is the case here), which means that “deficit reduction” just produces larger deficits. Greece is the extreme example. So what would a successful conservative economic program look like today? Well, until the nation is out of the slump and consistently growing, it should begin and end with slashing regulation and barriers to entry so that more unemployed people can become self-employed. It could include some form of program to encourage taxpayer-funded banks to lend to people who want to start businesses, for the same reason. While not throwing around stimulus slush money (for that tends to end up in the pockets of well-connected corporations) it would maintain spending levels, and look to redirect some spending toward more productive endeavours for instance giving small businesses tax breaks for every job they create, or every factory they open. The welfare cuts must wait until there is a strong and self-sustaining recovery, for when the economy is creating lots of jobs, for when there is a demand for labour. 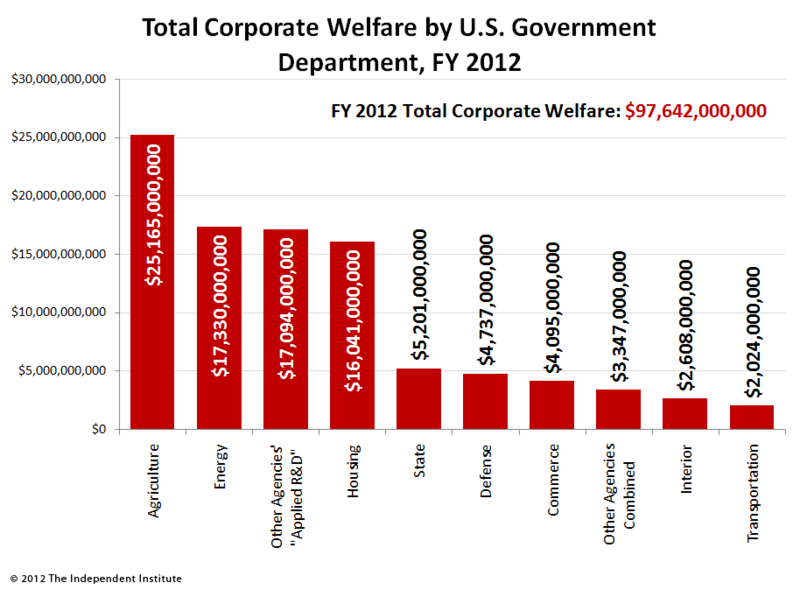 Slashing welfare when there are no jobs to go to is totally self-defeating. 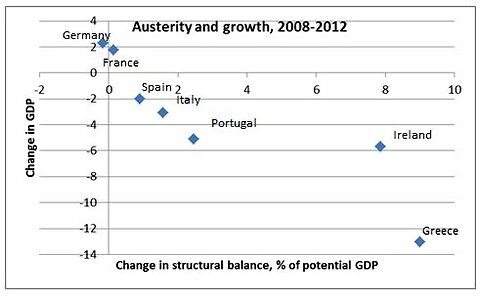 The deficit reduction must wait until tax revenues are consistently rising due to a strong and self-sustaining recovery. It frightens me that conservative voices have gotten this so hideously wrong. We had a decade of fiscally reckless government, where governments, consumers and businesses totally forgot the imperative to save in the fat times to spend in the lean, and joined the leverage mania and the derivatives casino. That was dangerous and foolish. And now policymakers have chosen to focus on deficits at precisely the wrong time. It is absolutely the worst of both worlds. From 1947 to 1974 US income per capita grew more than National debt per capita 25 times. In the last 30 years, National debt per capita has grown more than income per capita 24 times. The last time income per capita grew more than national debt per capita was 2001. Ben Bernanke arrived at the Federal Reserve in 2002. 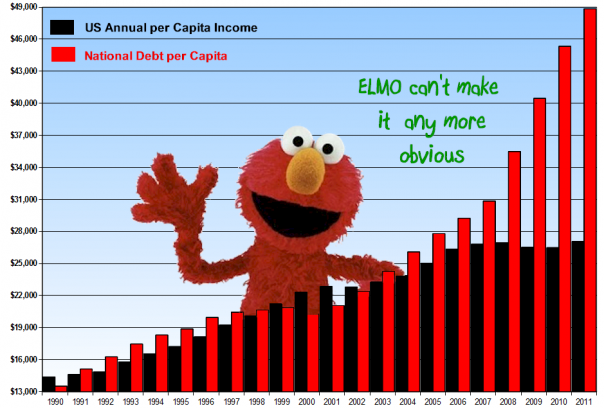 So simple, even a muppet can understand what the problem is, right? Not exactly. We know what the problem is: national incomes aren’t rising, even while we get deeper and deeper into hock trying to maintain our standard of living. We know that this pattern is totally unsustainable; unless incomes rise, that debt will become increasingly impossible to service. 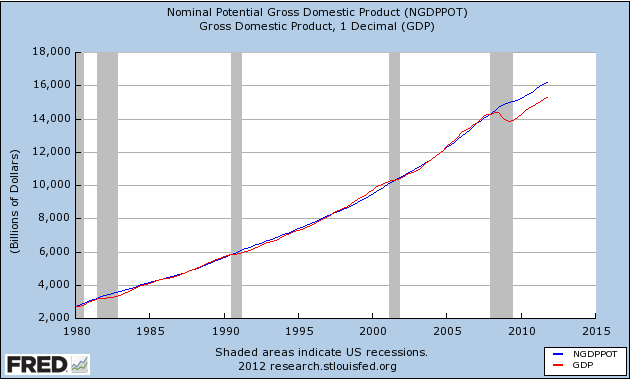 What is less clear is the cause of this stagnation. So what changed between 1990 and 2005 that led the nation debt per capita to so quickly overtake national incomes per capita? While I am mindful that correlation does not necessarily imply causation, that data fits pretty beautifully. The explanation for this trend would be that as America has become more and more consumptive, and less and less productive that more and more capital went offshore to pay for consumption, and thus less and less contributed to the national income, even as Bernanke ponied up trillions in new reserves, and even as the shadow banking system created trillions in pseudo-money. So is this a criticism of free trade? Should America have been more protectionist of her industries and her domestic manufacturing? Not necessarily; what the Washingtonian elites refer to as “free trade” is heavily subsidised. The status quo that Washington has made seems to heavily favour China and disfavour America. Imports from China are subsidised by American military largesse; every dollar America pushes into its military-industrial complex pushes shipping costs like insurance a little lower. So while labour costs in the Orient are naturally cheaper (due to population density, and development level), that doesn’t necessarily mean that Chinese goods are naturally cheaper in the American market. Under a genuinely free system — where America was not subsidising shipping costs — would made-in-America be more competitive compared to Chinese goods? Would China have built up a less mountainous supply of American cash? I think so.